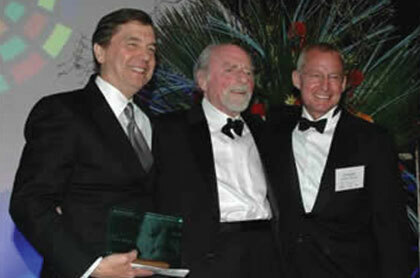 Chuck Veatch (left) was honored with the 2010 Robert E.Simon Award, recognizing life-time service to the community. Mr. Simon (center) was invited onstage to present the award. Joe Ritchey (right) was honored in 2009.